OUR MISSION TO ENROLL, EDUCATE, GRADUATE AND PLACE YOU!!! 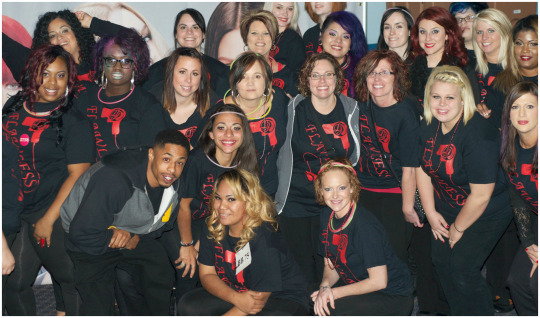 La James International College in Davenport and East Moline would like to extend an invitation to former Paul Mitchell students to come take a non-obligatory visit! We have been a part of the Quad City Community for over 30 years and educating students for over 75 years! We are not going anywhere!! We are here to help you finish your education with a teach out agreement. Our Davenport and East Moline career planners want you to explore all your options! We are here to help you figure out the next step in completing your training for licensure; LJIC is our home and we welcome you to become a part of our LJIC family. Let us help you complete your Journey to Success! “LJIC gives students the tools we need to enter the industry ready and confident to start our dream career,” says current DV Student. LJIC offers students the choice of a 3 day blended online or traditional 5 day Cosmetology schedule along with the option of an Associates of Applied Science Degree in Health and Beauty Management. In addition, LJIC facilities give students experience in a true salon and spa environment with the help of our knowledgeable faculty; students graduate prepared for their career.